It’s Monday morning. You roll into your office in Sterling Heights five minutes early like you always do, thermos of coffee clutched in one hand, your phone in the other. You roll up to your office only to find your desk is cluttered, with nowhere to put your coffee, or even your phone. Your heart drops, as does your productivity levels. 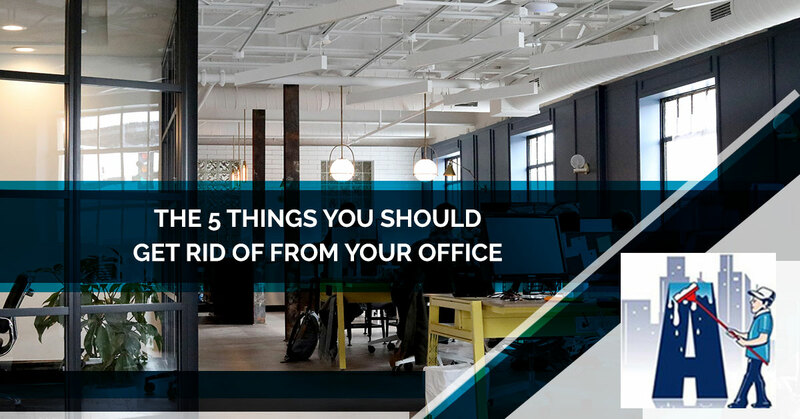 We’ve already helped you find internal peace in the workplace by finding your zen in a clean desk, but now we want to focus on what exactly you should clear out of your office. 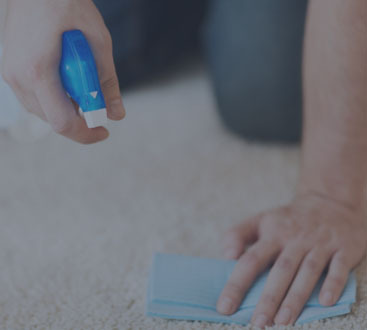 Join the cleaning services specialists at Augie’s Janitorial Services as we help you identify the five things you should get rid of from your office. There’s no denying that paper is one of the most important inventions in human history. It provided us with a convenient way to record the written word. Pieces of paper have challenged our beliefs and shaped our understanding of the universe. They also pile up high on our desks, long after they’re useful. Take a few minutes each day to review all of the documents on your desk and either file them away for future reference or shred and recycle them. You’ll be surprised how much desk space you’ll get back. Look, we all have to work through lunch every now and then, but eating at your desk every day is not only bad for your mental health, it’s bad for your physical health too. The crumbs from your sandwich and chips can get into your keyboard and grow pockets of mold. Germs and bacteria will be drawn toward the leftover food particles you leave on your desk. Do yourself a favor and enjoy your lunch in the breakroom. We all love keeping a few fun momentos on our desk; a favorite action figure, one of those Newton’s cradles, or even a tiny foam football. When it comes to desk toys, it’s important to remember the sage advice of “all things in moderation.” If you have a small dioramas worth of figurines reenacting the Siege Of Helms Deep on your desk, you probably don’t have much room to actually get any work done. Limit yourself to no more than three desk toys. Don’t get rid of all of the supplies at your desk, but if you look around and see 10 pens, three staplers, and a stack of unused post-it notes arranged like a Jenga tower, it’s probably time to return a few things to the supply closet. Only keep the supplies at your desk that you regularly use, and only refresh them when you’re well and truly out of them. You’ll have more space to work and you’re coworkers will appreciate the sudden influx of post-it notes. At one point, we’ve all used a bedroom chair as a sort of clean clothes purgatory at home. The clothes on the chair have been worn maybe once, and aren’t really dirty, but they aren’t clean either. Don’t treat your office as a clearinghouse. Feel free to keep a sweater or change of shirt at the office, but don’t pile a few days worth of laundry, clean or otherwise, into your office. 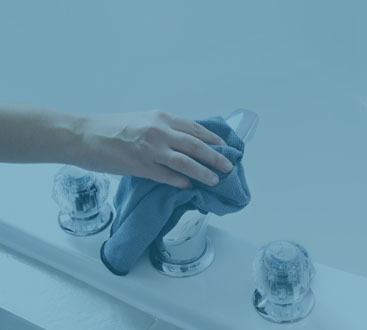 Call Augie’s Janitorial Services today to arrange for premium office cleaning services in Sterling Heights!